The NPF Legislature Party led by T R Zeliang expressed sincere appreciation to the organizers of the statewide bandh, called under the aegis of Nagaland GBs Federation and Joint Committee on Prevention of Illegal Immigrants, against the Citizenship (Amendment) Bill 2016 on Monday. In a release, it said the spontaneous response of the public to the call of the bandh demonstrated the voice of the people against the Bill, ‘which is doctored by the BJP against the existence of the indigenous people of the North East India’. The NPF termed the success of the bandh the mother of all bandhs in the State as it was entirely based on voluntary participation. 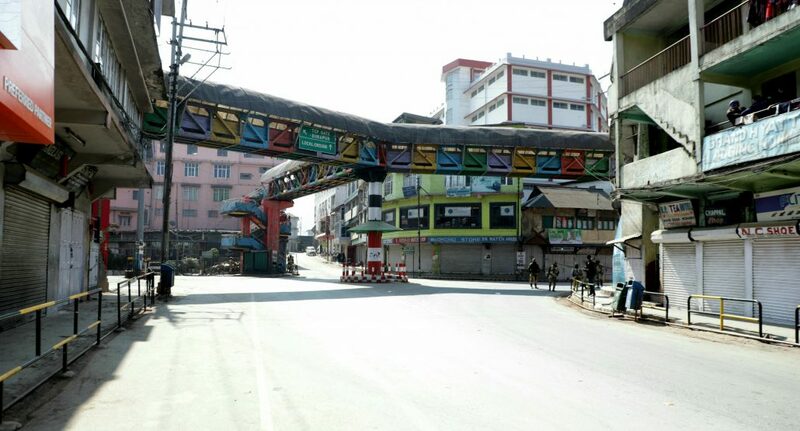 “The response of the people to the call of the bandh is so significant and the apparent anger of the Naga people. The fear of survival as indigenous people is absolutely genuine and justified,” it said. Asserting that it is steadfast in its commitment to stand against the impending Act to the last, the party appealed to all concerned citizens of the State to stand up against the contentious bill for our own survival. “We have no political design or agenda in this issue, but we take it as an issue for the very survival of our existence, transcending all political spectrum. “We are not interested to score any political mileage in this aspect, but for the simple reason of survival of our indigenous existence,” the party stated. The NPF alleged that the Bill has been designed in such a way that the indigenous people of Northeast India will be completely swamped and annihilated by the foreigners. Under the circumstance, the NPF said as torch bearers of regional politics it stands up to the occasion for the survival of our race. The party said the ‘oscillating stand’ of the PDA government in the State led by Neiphiu Rio will be answerable and held responsible should the bill operate against survival of our own indigenous people. The NPF expressed apprehension that the ‘meek and cowardly acts’ of the present dispensation in handling such a vital issue will be disastrous for posterity of the Nagas and the people of Northeast. The party also said it is unbecoming of the Commissioner of the State to threaten the GBs Federation to call off the bandh or face dire consequence with cancellation of their appointments by the government. The government should know that the GBs are not appointed under any service rules rather it is the special provision under 371(A) which grants them the status to be guardians of customary and traditional laws and practice of the Naga people, as enshrined in the 16-Point Agreement, the NPF said.